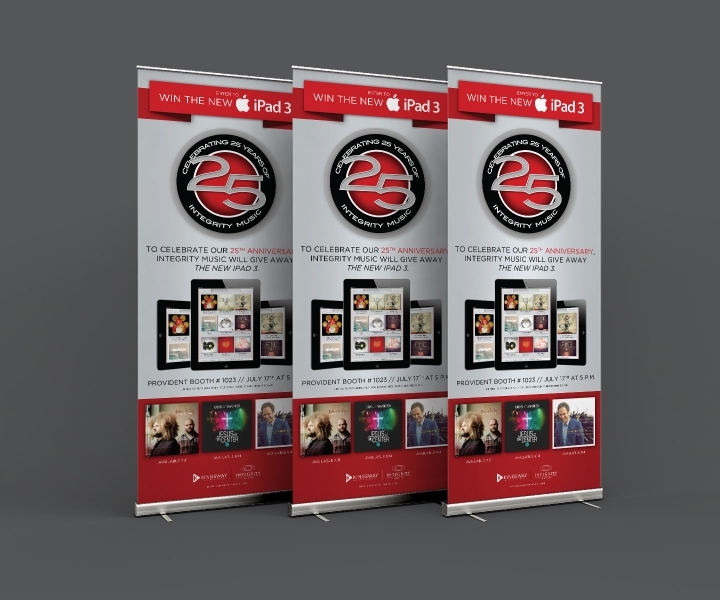 This banner was created in conjunction with Integrity Music’s 25th anniversary. They decided to give away a new iPad loaded with music, books and albums from their artists. ChadCo. 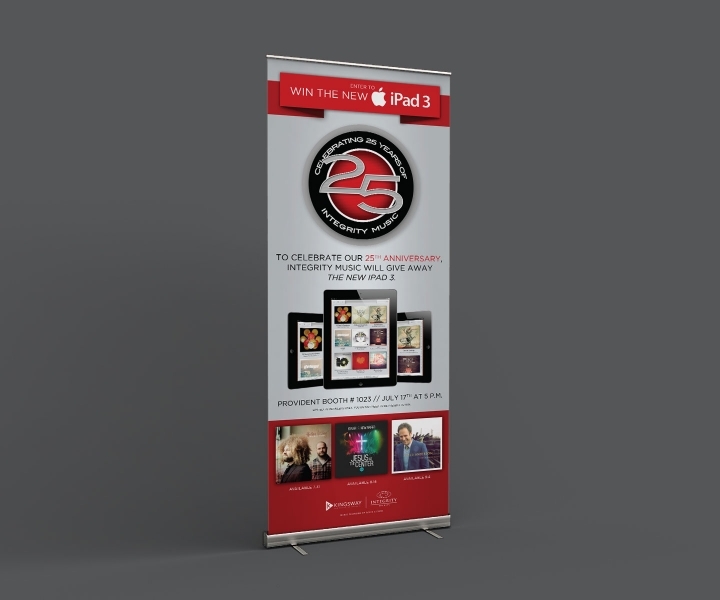 Studio did the design work for the pop-up to be displayed at the Integrity Music, Kingsway Music and Provident Distribution booths at various conferences throughout the U.S..